It could be game over for Electronic Arts' current owners if reports surfacing of the company going up for sale are true. The rumors of the game maker putting itself on the market popped up Thursday. Though talks are reportedly still in the early stages, private equity firms KKR and Providence Equity Partners are said to be interested in picking up the maker of SimCity and Madden NFL. Providence also owns Bethesda, developer of Skyrim. 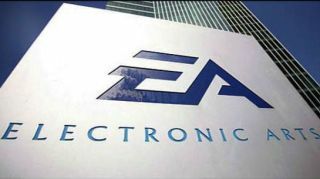 Refusing to comment on rumor and speculation, EA is staying mum about a possible sale. While it's still the second-largest games publisher in the world, EA has seen a 37 percent drop in market value this year. It's stock was up today, sitting at more than $13 a share, but with busts like Star Wars: The Old Republic, EA's viability is in jeopardy. The company has reportedly bought back much of its own stock stock as it struggles to keep up with the changing gaming industry. At 30-years-old, EA's seen sales of hardware consoles and software fade as mobile and free online games took over. Activision Blizzard, EA's biggest rival, also explored a sale earlier this year. No deal went through, but AB's parent company Vivendi still sought out the highest bidder for its 61 percent state in the company. Turn on TechRadar for the latest in EA's saga.